Stay updated with our latest stories and get an exclusive guide to enhance your experience.  Having seen many magnificent vacation spots around the world, experts of Luxury Lifestyle Awards came to a conclusion that this place is The Samaya Seminyak Bali, this year’s winner in the category of Luxury Hotels in Indonesia. Luxury Lifestyle Awards is a global award selecting, recognizing, celebrating and promoting the best luxury goods and services all over the world. Leading on the market for over 10 years, LLA evaluated more than 100 000 various goods and services in 40 categories from 60 countries. The victory brings companies status and recognition, global promotion and exposure to an entirely new market of customers. That is why such industry giants as Chanel, Dom Perignon, Tiffany&Co., Ferrari, Rolls-Royce and Hilton proudly carry the LLA winner status. At The Samaya Seminyak guests can enjoy an unparalleled level of service, privacy and a unique delivery of Balinese hospitality. The hotel offers an unbeatable beachfront location, merely steps away from Bali’s famous lifestyle district. Luxurious and comfortable accommodation can be chosen from a wide range of different villa categories, located either on the beach side or across the road in a Royal Courtyard setting. Each villa features a full-size private lap pool, modern, fashionable and chic interior. Just think of the magnificent time you could spend here! Steps away from the famous Seminyak – Petitenget Beach, the resort offers a luxurious beachfront escape with traditional Balinese hospitality and modern comfort. In order to make your stay more versatile, The Samaya Seminyak offers cooking and yoga classes. You can also enjoy a number of activities outside the hotel: see cultural and natural treasures like the Sacred Monkey Forest, the Tegalalang rice paddies, the Bali Coffe Luwak plantation, Mount Agung (all this can be arranged by the hotel’s dedicated butler team into day’s excursions), go shopping, surfing or visit a water park. The hotel’s butler can also help you plan a perfect romantic getaway by organizing a stroll down one of the area’s most picturesque beaches. This will be the vacation you will never forget. Experience the best of Bali with The Samaya Bali Seminyak!